Well, I’m going to have to go to the Blake Shelton concert at Kinnick Stadium, even though I can’t name a single song of his. You could call that the Dallas Clark effect. Widely known and loved as a former Iowa Hawkeye standout, pro football star and all-around amazing guy, he’s got me on board for a country music concert. Well played, Dallas. Back to Dallas Clark. It all started Sept. 19 in Iowa City. Aside from the 57-yard field goal for the win and the 3-0 record that had eluded us since 2009, there was another piece of notable news — Kinnick Stadium will, for the first time ever, host a music concert in 2016. Clark delivered the news via a video displayed on the Jumbotron, but didn’t name the artist. I believe this is what’s called “creating a buzz.” Dallas returned to the big screen this past Saturday to announce that Blake Shelton, a big-deal country musician and TV personality on “The Voice,” will headline the concert. The speculation began instantly. Who would be able to pack a crowd into Kinnick? Of course my post did lend itself to what kind of music would highlight the event. Everyone figured it would be a country musician. I happened to be in attendance Saturday as Iowa crushed North Texas. But I missed Dallas Clark’s announcement. I read about it Sunday morning, and I was moved. This isn’t just about music. Clark has created the Native Fund, a nonprofit that aims to helps Iowans dealing with the aftermath of natural disasters and also assists Iowa youth and military veterans. The charity will fill the gaps between what’s available from government agencies and others and help Iowans when they need it the most. Now that’s cool. It also serves as a firm example of what a class act Dallas Clark is. Also involved — Iowa natives Ashton Kutcher and Zach Johnson. So, despite the razz I received on social media about Blake Shelton and country coming to my beloved stadium, I am intrigued. Looks like it’s time to dust off my boots, I’ve got a country music concert to hit at Kinnick Stadium. 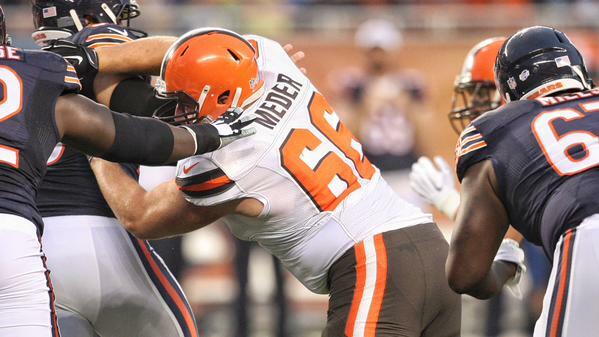 Jamie Meder was the Cleveland Browns' best player in the preseason. That’s the word from ProFootballFocus.com, which gave Meder its best grade by far in ranking Browns players. Meder was the team’s best defensive player, best run defender and third-best pass-rusher. That's why he made the roster of 53. One caveat: Meder did it playing against mainly backups. The next step in his growth is to play against starters. It also should be considered that backup center Nick Easton was the Ravens' best preseason player, per PFF, and he was traded on Saturday. Easton was an undrafted rookie from Harvard. Pittsburgh’s best player was linebacker Howard Jones, who is on the Steelers' practice squad. That being said, Meder deserves credit. He was active, aggressive and impressive in the opportunities he received. The backup nose tackle earned his way on the roster the old-fashioned way -- by being productive on the field. Diving deeper into the 53, it's interesting that PFF's worst run-blocker also made the team: Undrafted rookie tight end E.J. Bibbs, whose grade was by far the lowest of the run- blockers. Bibbs has been very productive in the passing game, but a tight end has to block. That issue led to Bibbs being the lowest-ranked offensive player overall. Bibbs, who had a very positive grade on pass offense, was dragged down by the run blocking. • The Browns' best pass-blocker was Joe Thomas, whom the site also called the best pass-blocker in the league. More greatness from Thomas, who doesn't even take a play off in preseason. • Thomas was not the best overall player on offense, though. That honor went to quarterback Josh McCown, whom PFF rated was the sixth-best quarterback in the league. • The next three best Browns offensive players were TE Jim Dray and WRsTravis Benjamin and Brian Hartline. • The worst pass-blocker? Terrance West. Which would make clear why coach Mike Pettine seemed exasperated with West’s inconsistent play this preseason. • The lowest ranked pass-blocking offensive lineman: First-round pick Cam Erving. 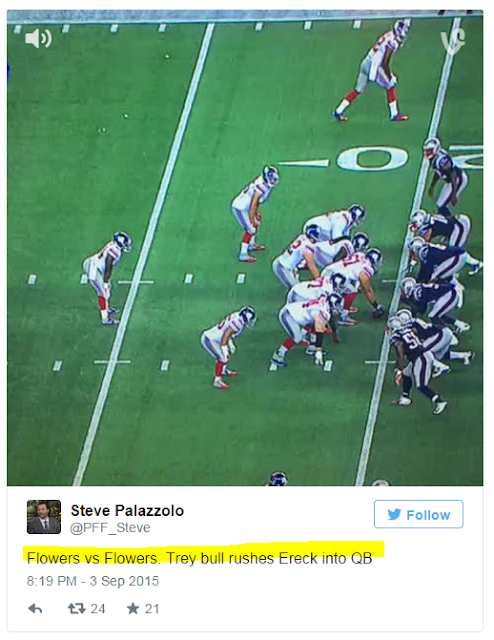 PFF raves about Danny Shelton, but also says Erving struggled far more than Shelton. • The highest-rated offensive player to not make the team was wide receiver Josh Lenz. He earned the respect of coaches and teammates with his work. That had to be a tough cut for Pettine. 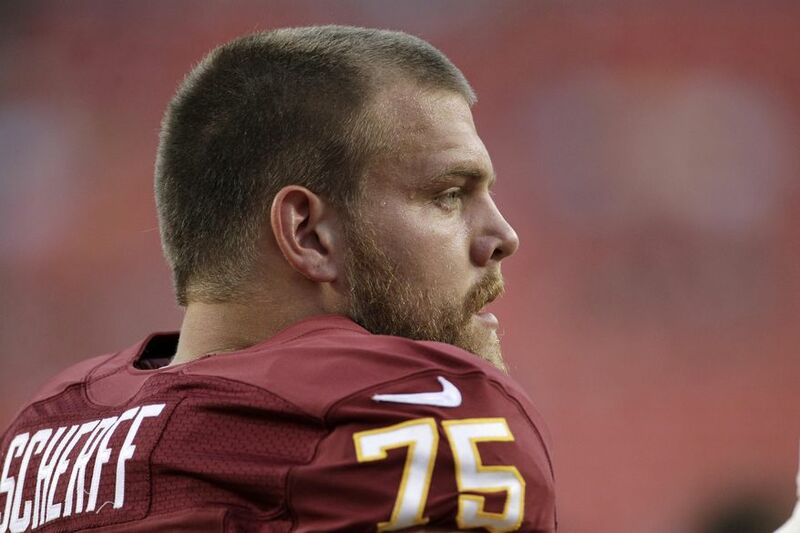 It would be a huge surprise if Lenz is not on the practice squad. • While Xavier Cooper’s sacks stood out, PFF gave him the team’s lowest grade in run defense. • Cornerback Justin Gilbert ranked third lowest in overall defensive play, and second lowest in pass defense. • The highest ranked defensive player not to make the 53: Cornerback Kendall James. Gilbert and Paul Kruger (?) 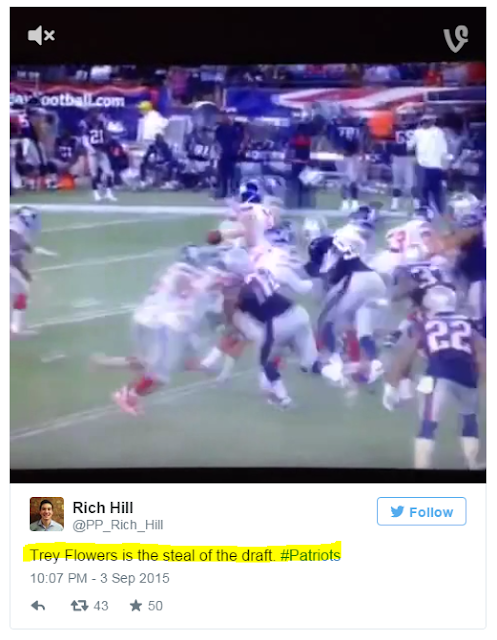 were the lowest ranked defenders to make the roster. • In overall play, PFF calls Karlos Dansby the best coverage linebacker in the league, and said McCown ranked ninth in the league in deep passing in 2014. Problem is McCown ranked 31st against the blitz, 28th in short throws and last in intermediate throws. ProFootballFocus uses its own analytics and metrics to assess the performance of each player, breaking each down by play, then assessing a grade. Their formula can be found here. On the last day of August, the Browns hit the field in Berea for a jog-through practice session. Because of the light tempo, many players were able to return from injuries. 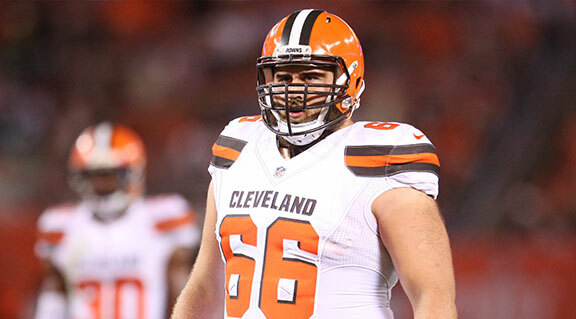 It may be the preseason, but Pro Football Focus ranks Meder as the No. 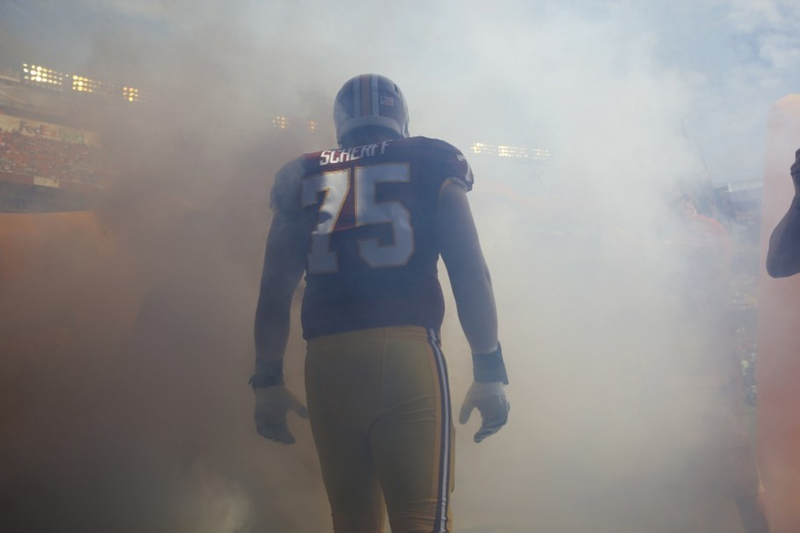 1 rated defensive lineman in the entire NFL. Working with mostly backups in the second halves of games, Meder has logged 49 snaps, producing seven tackles, a sack and has blown up a countless number of running lanes. “I think (defensive coordinator Jim) O’Neil said it the other day that if you had to vote for a most improved, that Jamie would certainly be in the discussion,” coach Mike Pettine said. We’ve written about Phil Taylor’s return to the field, Danny Shelton and Xavier Cooper’s superior play, Randy Starks’ needed veteran presence and undrafted rookie Dylan Wynn’s emergence. The shot clock is quickly approaching zero, and the Browns will have some big decisions on the horizon. “I just want to do anything to help the team win,” Meder said Saturday.